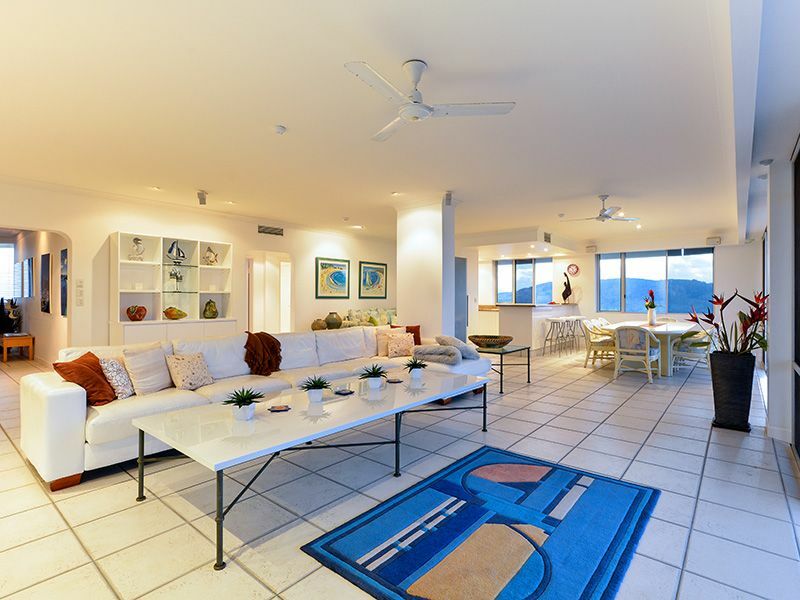 Yacht Harbour Towers 13 on Hamilton Island is a holiday apartment with magnificent 360 degree views around the island. 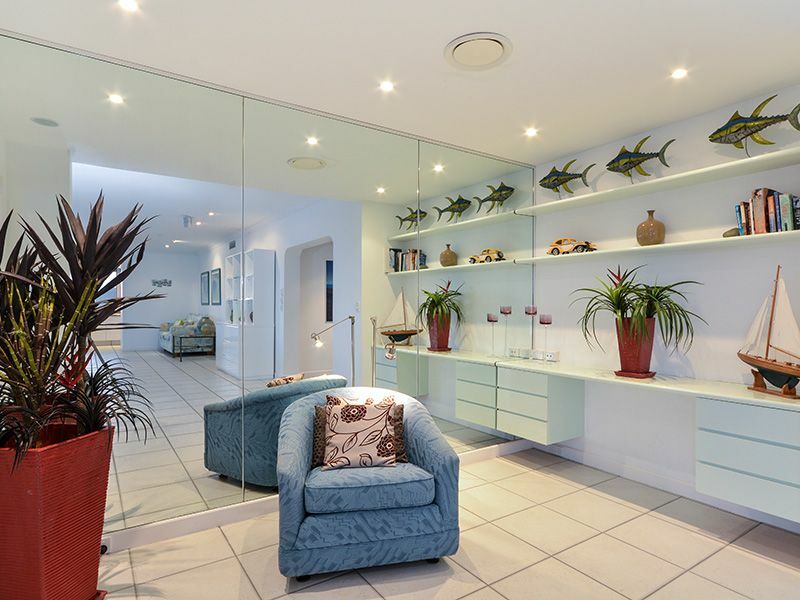 Click on the tabs to read more on this property or view seasonal rates and make an enquiry. Yacht Harbour Towers are one apartment per floor, offering 35 squares of exclusive living space. Step out of the lift into your enormous apartment. 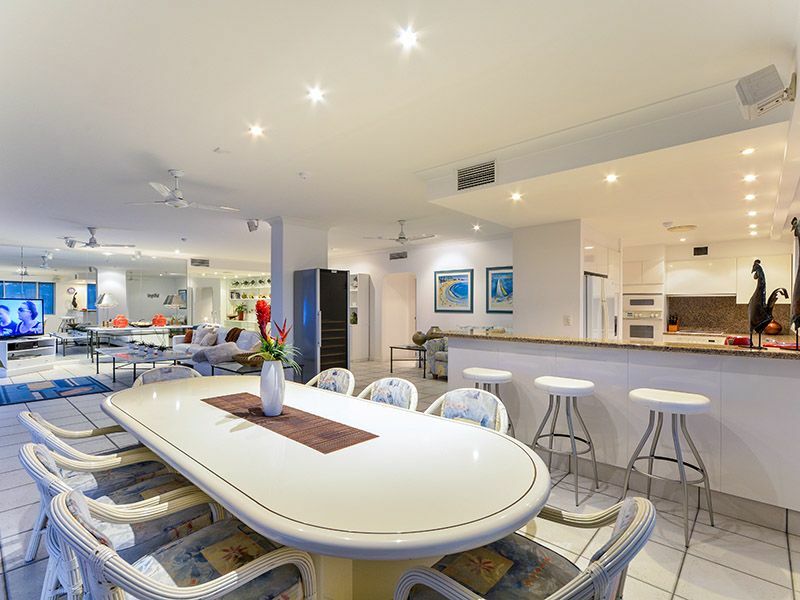 This well appointed Hamilton Island accommodation is ideal for a large family or group of friends. Sleeps normally 8 guests and 10 with the use of extra rollaway beds. With a total of only 14 apartments in Yacht Harbour Tower, this floor has the most incredible views. Yacht Tower 13 has an enormous balcony, ideal for entertaining – with 8 seater outdoor setting and sun-lounges. If you prefer ‘al fresco’ dining, there’s also a bbq on the balcony. 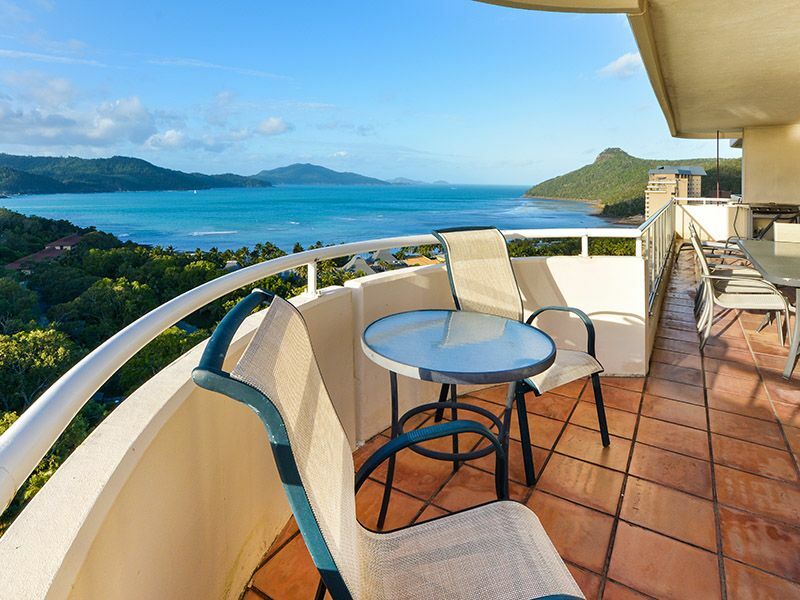 All the activity of both Hamilton Island marina and Catseye Bay can be seen from this stunning Hamilton Island apartment. 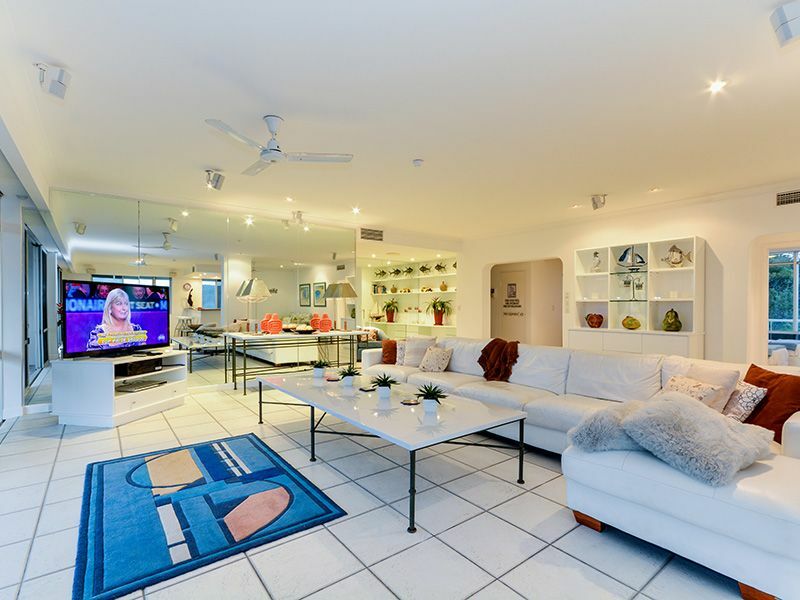 Centrally located on Hamilton Island – only a short walk or buggy ride to Hamilton Island marina village, or down to the resort side of the island and Catseye Beach. 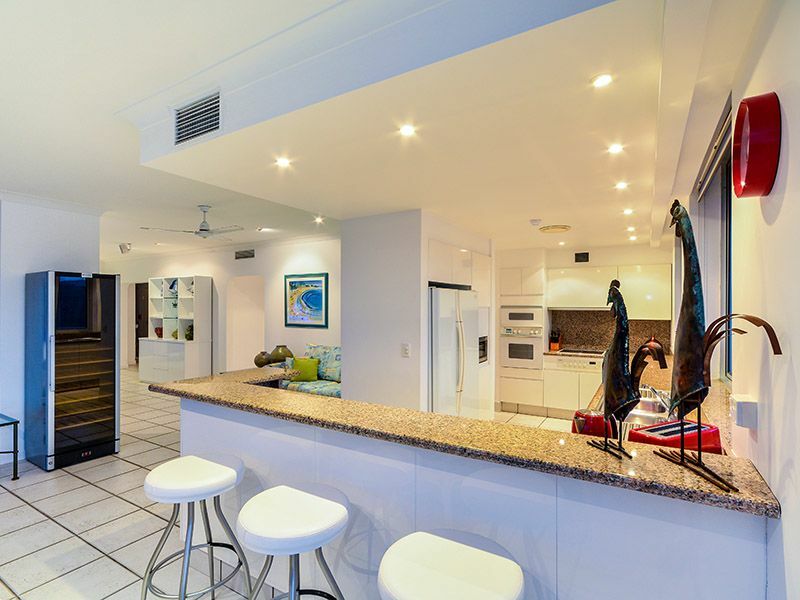 This accommodation includes pick-up and drop-off to Hamilton Island airport or Whitsunday ferry jetty. Master Bedroom has King bed, an ensuite with bath and its own balcony. Bedroom has a Queen bed and ensuite, also with a balcony and views to Dent Island. Bedroom 3 has 2 single beds. 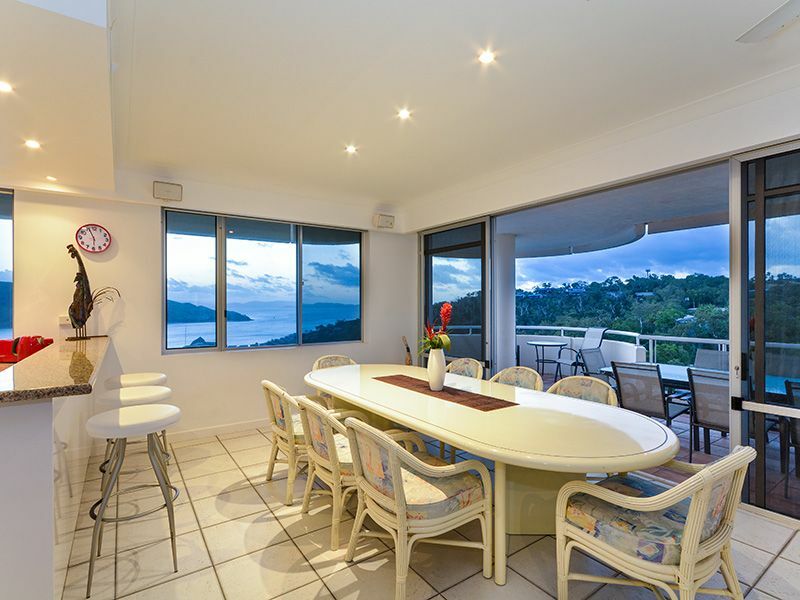 This bright and sunny room also has stunning Whitsunday sea views. 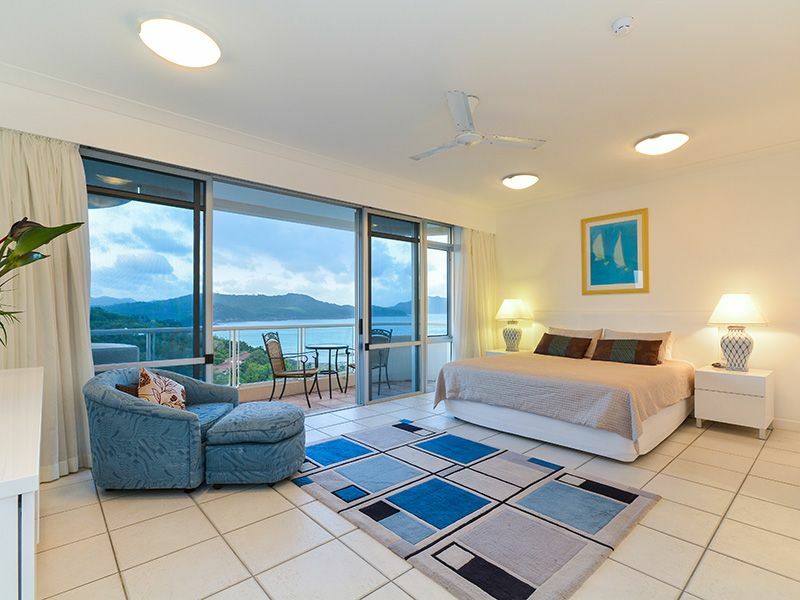 Bedroom 4 has a Queen bed and yet another balcony with lovely Hamilton Island water views. These two bedrooms share a bathroom. This apartment is available as a four bedroom, three bedroom or two bedroom, depending on the number of guests. Four bedroom rate is for 8 guests with 2 single rollaway beds also available add: $50.00 p.p. per night.